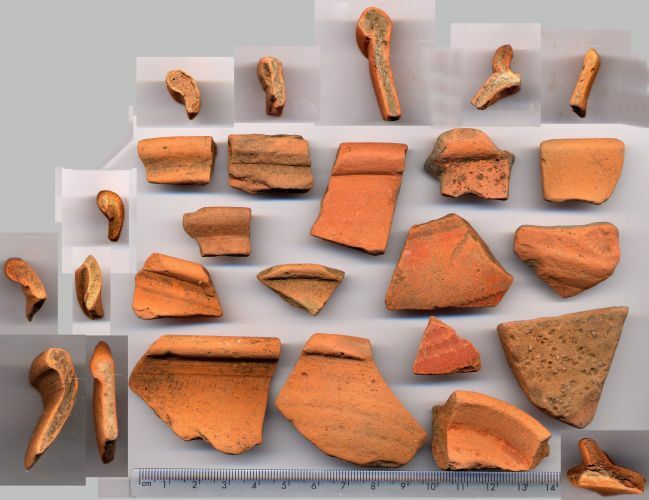 Twenty two sherds (including 10 rims, 1 foot-ring & 2 motarium body sherds)of fine red orange fabric sometimes with a grey core and occasionally with the colour-coat surviving. These are Oxford wares. The rims are from bowls or jars and two sherds have rouletting and one has a rosette stamp The mortarium sherds have some pink quartz grit surviving on their inner surfaces.